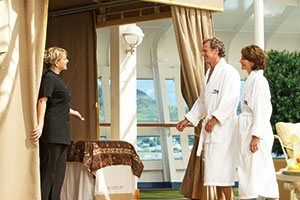 Princess Cruises has won over legions of devoted travelers with their award-winning service, great value, and enrichment opportunities. One thing that makes Princess the princess of cruise lines is the fascinating activities through the Discovery at Sea program: Discovery, Animal Planet, and the Science Channel have teamed up with Princess Cruises to provide educational opportunities like the chance to learn stargazing or go on a nature tour. Why do families choose Princess? Cruise lines often offer kids' clubs and waterslides, but Princess Cruises has activities like the Deadliest Catch crab bucket challenge! Make shark tooth necklaces during Shark Week at Sea, or take an Animal Planet shore excursion or even an underwater tour to see the destination's wildlife up close. 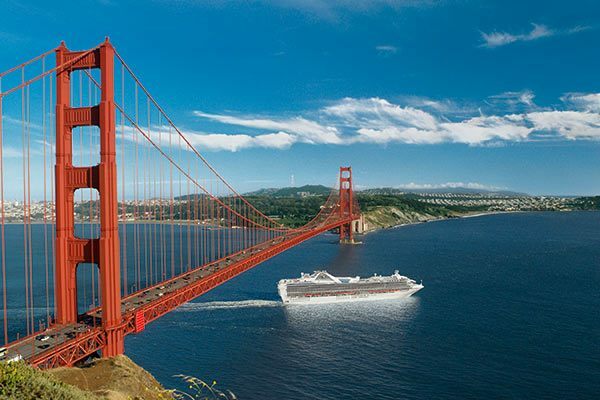 Whether you're looking for an extended world cruise or a short weekend getaway, Princess cruise deals can be found for any destination. Princess can take you to all of the wonders of the world in comfort! 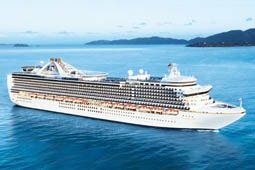 Modestly affluent first-timers, frequent cruisers who want easy-paced travel, are not demanding, prefer an even balance between sea and land time, and who understand that the Love Boat was only a television show. The night is yours to have fun. Spend the evening dancing under the stars, watch an award-winning movie or catch a live theater production. Whatever you choose, you'll have an endless array of ways to escape completely. 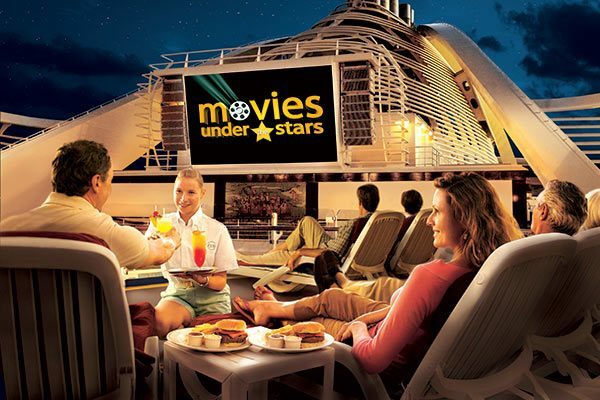 Movies Under the Stars: Movies Under the Stars®, the 300-square foot, 69,000-watt poolside movie-theater, offers passengers the unique opportunity to enjoy blockbuster Hollywood movies against a backdrop of sea and sky, throughout the day and night. 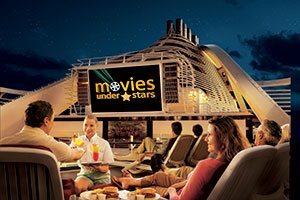 Located on the ship's top deck, Princess makes this experience even more special with personal touches including comfortable chaise lounges, complimentary popcorn, warm cookies & milk and cozy blankets in the evening. Dancing, Karaoke and Comedy: Move to the rhythm of the disco beat or take a spin in the ballroom. And, for some belly laughs, catch a stand-up comedy act or belt out a song in the karaoke lounge. Bars and Lounges: Evening cocktails in one of the ship's cozy lounges or swanky bars is a perfect place to meet up with shipboard friends and swap stories about the afternoon's adventures. Casino: Cards, Bingo, slots and more! Whether you've got a favorite game or you're just a beginner, everyone is welcome when the chips are down. Table Games: Princess offers all of the popular table games with Las Vegas style rules including Craps, Roulette, Blackjack, Caribbean Stud, Let It Ride, and Three Card Poker. Note: Table Games vary by ship. 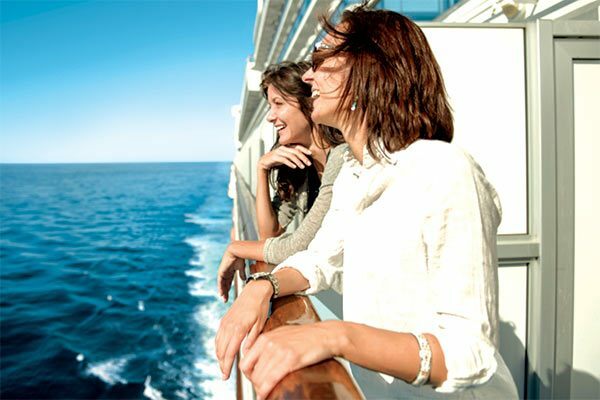 Bingo: Bingo is offered throughout your cruise with varying ticket prices. And remember, when you win shout "BINGO!" Art Auctions: Once onboard, you're invited to attend a Princess Fine Arts Auction where you can see and learn about some of the most beautiful artwork produced in the last century. What do you want to do today? 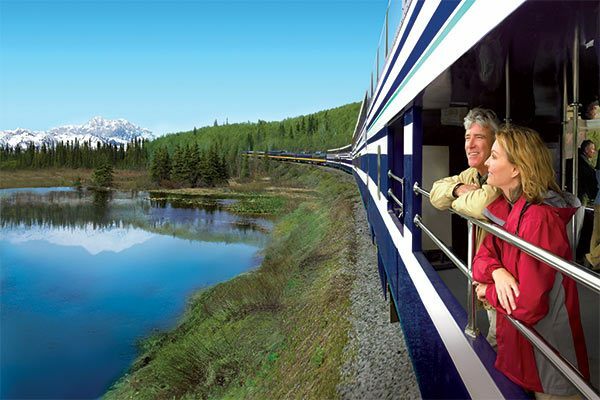 The choices are endless, from invigorating activities to more relaxing pursuits. With Princess you'll discover an incredible array of options that make each day a delightful new adventure. 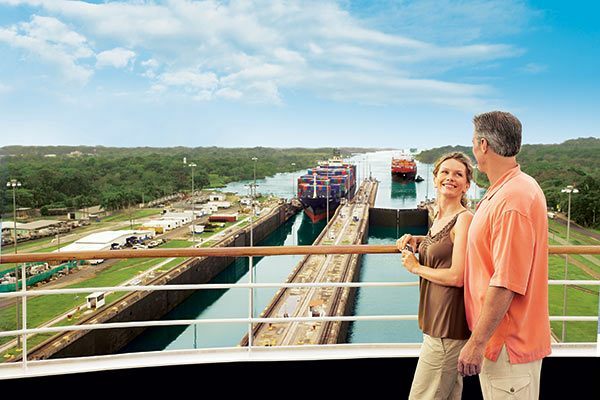 A voyage with Princess® is so much more than just the destinations you visit. 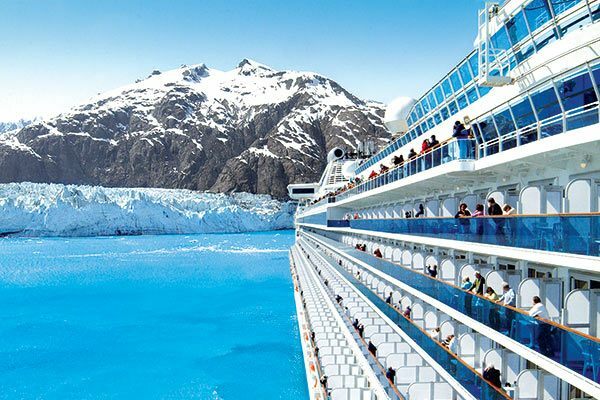 For each Princess ship is a destination in itself — with unlimited opportunities to learn and enjoy. Consider joining in Zumba Fitness, a dance party filled with hip-shaking fun. Or, how about creating a hand-painted memento in the first ceramics studio at sea. Welcome to the Princess ScholarShip@Sea Program®. Choose from up to 40 classes on every voyage including everything from card making to wine tasting to pop choir. 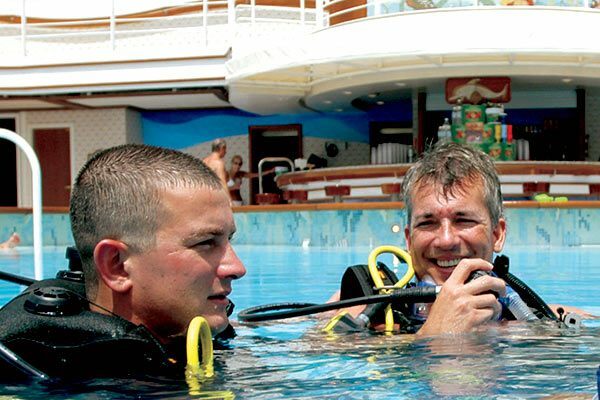 In this guide, you’ll learn more about the enrichment opportunities that await you on your cruise. Enjoy many of these fun, engaging ScholarShip@Sea classes and make your escape a true adventure in discovery. Princess offers a variety of sporting activities for you to enjoy. Test your golf in the nine-hole putting green. Most ships also offer ping pong, shuffleboard, a jogging track and a sports court for basketball and volleyball. Swim, sun and enjoy yourself in many pools. Relax effortlessly underneath a retractable glass dome, on a terrace above the rolling wake, or work up a sweat and make some of your own waves in a swim-against-the-current pool. Ships have been stocked with an extensive library, including contemporary titles in a wide range of categories and books related to specific cruise itineraries. Princess onboard libraries have collections of up to 2,000 books. At any hour, wherever you go on your Princess ship, the chefs are busy baking, grilling and sautéing the ingredients of your next meal. Bread and pastries are baked fresh three times a day, and sauces are prepared by hand. You may call for personal, complimentary room service at any time of the day or night. To have continental breakfast delivered to the stateroom, fill out the breakfast card included in the stateroom portfolio (one is also placed on the pillow) and hang it out at night on the stateroom door in order to receive delivery the next morning at the time of your choosing. The complimentary room service menu includes sandwiches, salads, a selection of hot dishes and delicacies from the pastry shop; plus, coffee, iced tea and milk are available 24-hours a day! A signature Princess® pasta – served with freshly-prepared sauces. Or perhaps grilled halibut, perfectly complimented by a chilled glass of chardonnay. Another night, it could be homemade Italian pizza by the pool. 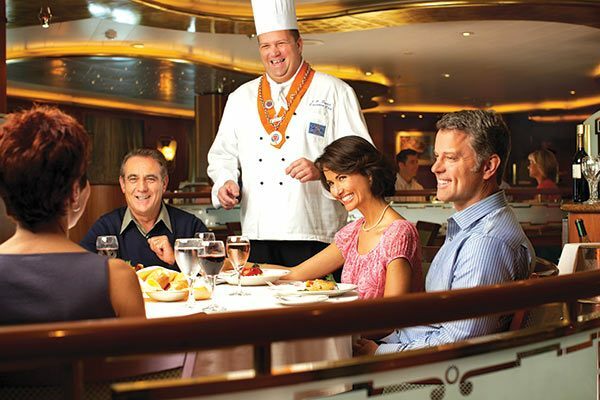 That's the beauty of dining on a Princess ship – there's always something to match whatever your mood might be. 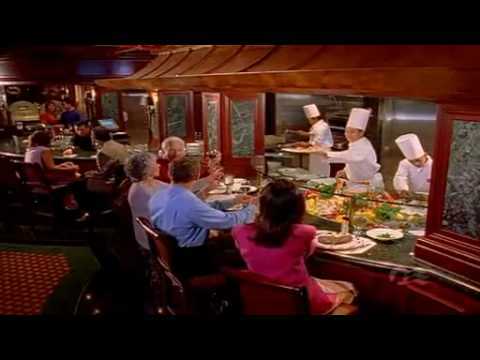 Your choice of Anytime or Traditional Dining: A sumptuous variety of dining options awaits you on every voyage. Princess offers you the choice of Traditional Dining with fixed time and seating, or Anytime Dining with the flexibility to dine when and with whom you choose. Anytime Dining: offers more flexibility, giving you the freedom to dine with whom you choose, anytime between 5:30 p.m. and 10 p.m. in a selection of elegant, upscale restaurants. Both options offer menus featuring creatively-prepared appetizers, entrees and desserts that change each day of your voyage - as well as several healthy Lotus Spa selections. * Not available on Sun, Dawn, and Sea Princess (while in Australia), Ocean, or Pacific Princess. Looking for something a bit more casual? Drop by the Piazza-style Atrium and visit the International Café for fresh-baked pastries, paninis, and gelato. Or grab a seat in the Vines Wine Bar for an intriguing selection of sushi, tapas and, of course, wine. International Café: Open 24 hours, the quaint café located in The Piazza serves an ever-changing array of quick bites and light meal choices. Vines Wine and Seafood Bar: Vines Wine and Seafood Bar serves a selection of unique new- and old-world vintage wines along with gourmet delicacies. Horizon Court: Open from 5 am to 11 pm (12 am on select itineraries), the Horizon Court offers a wide selection of buffet meals or snacks. The top-of-the-ship restaurant features floor-to-ceiling windows with stunning sea views as a backdrop for a quick breakfast or casual dinner. Poolside Options: Out on deck, enjoy a fresh, cooked-to-order hamburger, chicken sandwich or hot dog from the grill, or opt for a freshly-baked slice of hand-tossed pizza. Or grab a cone of ice cream at the ice cream bar. It's all conveniently available to you poolside on the open decks. Afternoon Tea: Indulge in afternoon tea with finger sandwiches, pastries, scones, cookies, music and white-glove service. 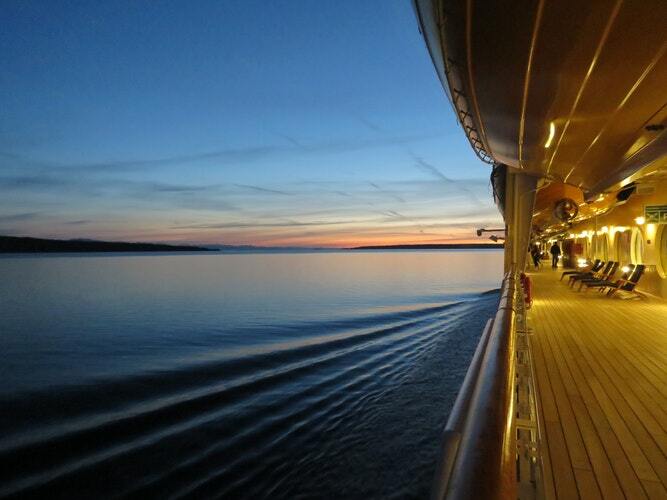 It's the perfect interlude between sunning out on deck and a star-studded evening at sea. Enjoy a wide selection of premium teas — from Earl Grey to herbal infusions. 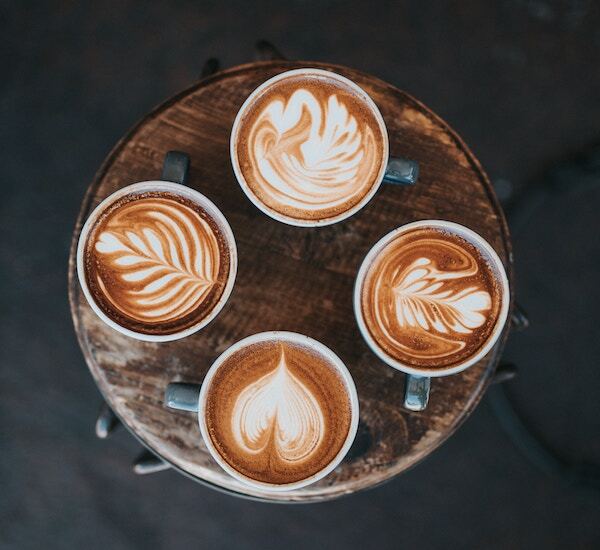 And of course there's coffee, if you prefer. The choice is up to you. Princess specialty restaurants offer a memorable dining experience in an intimate and upscale atmosphere. Each restaurant offers a distinctive menu with both traditional favorites and more adventurous options prepared and served by a staff dedicated to making your evening unforgettable. Variety is the spice of life, especially when it comes to dining. That's why Princess offers several specialty restaurants for you to choose from on every ship, perfect for special occasions. Sabatini’s captures the heart of Italian cuisine in a truly authentic atmosphere, while The Crown Grill serves premium aged beef and fresh seafood items in a theater-style kitchen. All our specialty restaurants promise an experience you’re sure to remember. Note: Modest fee will apply at these restaurants. Sabatini's: Authentic Italian fare featuring pasta and seafood specialties in a setting reminiscent of a Tuscan villa. 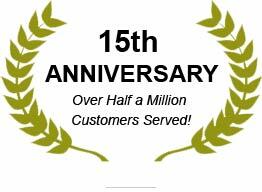 Crown Grill: Tender, cooked-to-order steaks and fresh seafood including grilled fish, shrimp, lobster and scallops. Sterling Steakhouse: A more refined approach to the traditional steakhouse serving the highest quality cuts of beef, plus a prime-rib carving station. Bayou Café & Steakhouse: The first New Orleans-inspired specialty restaurant at sea, serving traditional Cajun and Creole influenced food with live jazz. Cruising with Princess is a complete escape for all ages. There's everything from arts and crafts, sports tournaments, movies, and splash pools (on select cruise ships) to Teen Lounges with foosball tables, juke boxes, and the latest video games. All Youth Centers and Teen Lounges are fully supervised by the experienced staff of Youth Activities Managers and counselors. 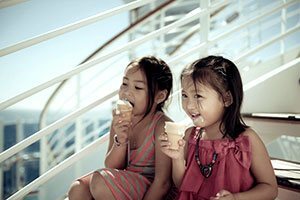 Children are welcome on all Princess cruise ships, but facilities vary. Pacific Princess and Ocean Princess do not have dedicated Youth and Teen Centers (programs are available only when 20 or more children are sailing). However, when 20 or more children ages 3 to 17 are traveling on these ships, they will enjoy a varied schedule of supervised activities organized by a Youth Activities Manager. Please be advised that Youth Staff may not offer individual one-on-one supervision or administer medication. At Princess, they believe learning is fun. Through their exclusive partnership with the California Science Center, their Youth Staff are trained to deliver exciting interactive science activities for kids ages 3-12. Whale watching, rollercoaster building, chemistry experiments, and squid dissection are just some of the activities that may be offered. They also offer the Pete’s Pals Program as a way for Princess kids to learn more about threatened and endangered species in the areas in which Princess sails. Children participating in this program will receive a limited-edition plush animal to take home as a souvenir. Some class options include: Kindermusik® at Sea, Art projects, Pajama parties, Theme nights, Kids-only dinners, Karaoke and talent shows, Jr.CHEF@Sea. Note: Classes are subject to age group. Pampering never felt so good, especially with all of the spa, salon and fitness offerings you'll find in the Lotus Spa®. The Lotus Spa offers everything you need pamper yourself, from facials, scrubs and massages to body therapy, body wraps, and Botox and Acupuncture, including a full-service salon. Lotus Fitness - where fitness programs are equally diverse with gymnasiums on all ships, and the newer vessels boast some of the most lavish, ocean-view gyms afloat. Suitable for guests of all fitness levels, Lotus Spa offers a comprehensive fitness program consisting of world class fitness experts, state-of-the-art equipment, body assessments, and innovative classes that will help you achieve your goals for healthier living. Tailored to your needs, the fusion of traditional exercise and cutting-edge fitness services will help you discover the results-driven exercise your body needs to look and feel its best. 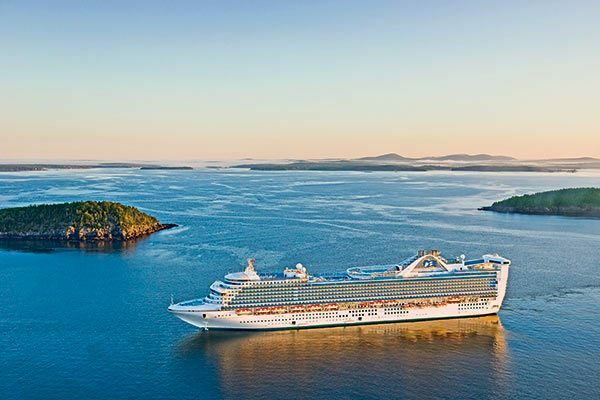 Where Do Princess Cruises Go? 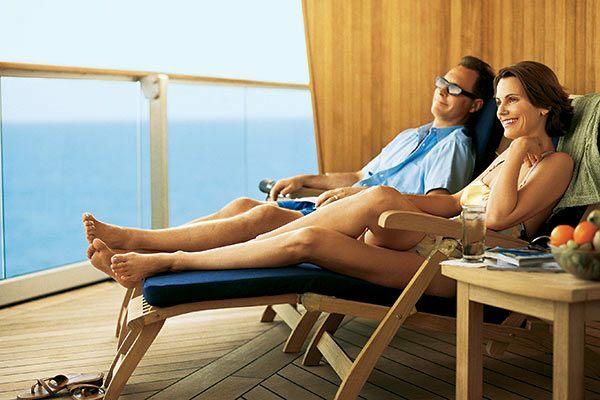 How Do You Make Princess Cruises Reservations? Choose where you want to sail. Pick your date and cruise length. 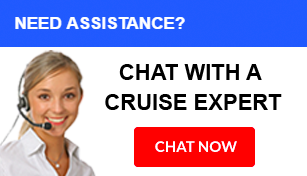 Call 1-888-407-2784 to speak with a CruiseDirect representative. Which Princess Cruise Ship Is Newest? 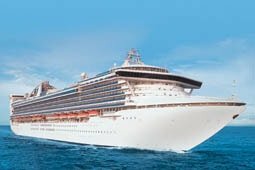 As of 2019, the Majestic Princess is the newest ship in the Princess Cruises fleet, completed in 2017. 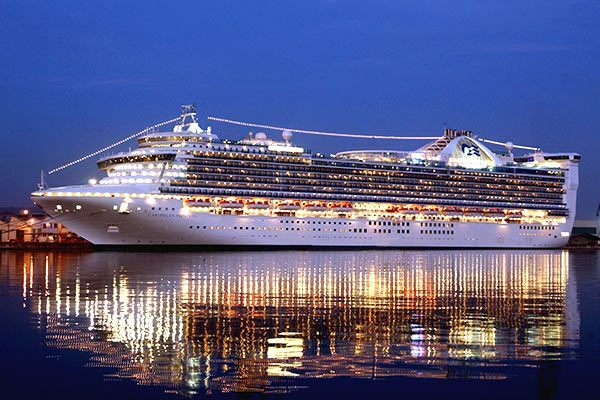 What Is the Largest Ship in the Princess Cruise Line? The Regal Princess and the Royal Princess tie for the largest ship, both with a 3,560-person capacity and 142,229 tonnage. 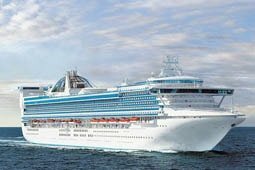 Do Princess Cruises Have Free Wi-Fi? 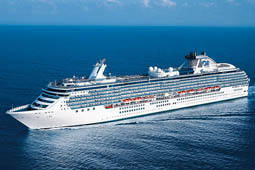 Princess Cruises do not offer free Wi-Fi. 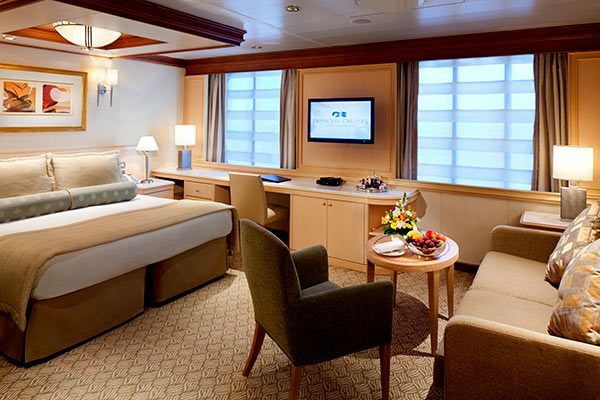 Internet access is available on Princess vessels via their onboard 24-hour Internet Cafes. Onboard wireless services are also available in staterooms. Internet access and wireless services are additional charges and, to learn more, guests should contact the Cafe Manager once on the ship. Wireless and Internet fees may also be prepaid. Can I Bring Bottled Water on My Princess Cruise? Yes, you may bring water bottles and bottled water on board Princess cruise ships. Can You Bring Your Own Wine on a Princess Cruise? 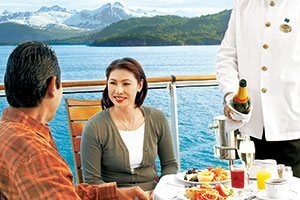 You may bring aboard one bottle of wine (750 ml or smaller) per adult of legal drinking age to consume in your stateroom. Additional bottles brought aboard will incur a corkage fee. 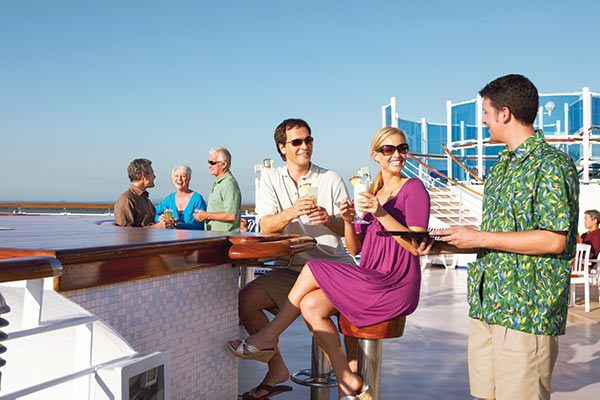 Can You Buy a Drinks Package on Princess Cruises? Where Is the Head Office of Princess Cruises? The Princess Cruises headquarters are located in Santa Clarita, California.